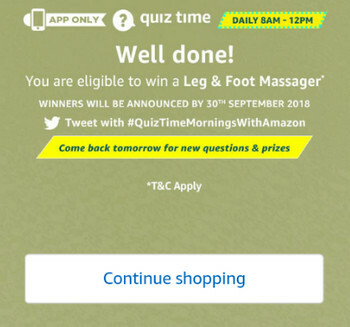 Amazon Leg & Foot Massager Answers, Amazon Quiz Answers, Amazon App Leg & Foot Massager Quiz All Answers, Amazon Quiz Time Leg & Foot Massager Quiz – Amazon has came up with it’s all new Amazon Quiz Time 7th August contest. During this Amazon quiz time contest, you just need to give correct answers to the questions and you can win a leg and foot masssagers. So, let’s see the correct Amazon 7th August quiz time contest answers. Before that you can also check our Amazon Coupons to save more while shopping online. 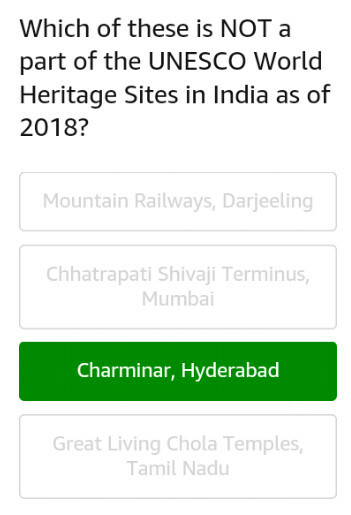 Now a days, Amazon India is conducting various quiz contests very frequently to keep their fans happy and associating with various brands to give the prizes. 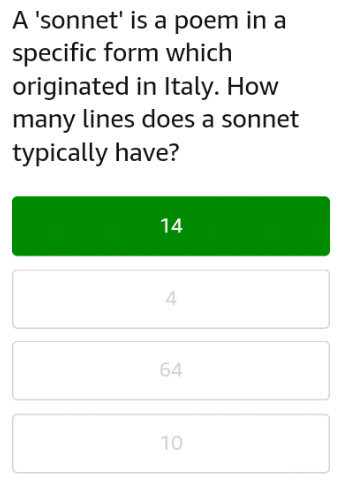 All you need to do is just give correct answers to the questions, you will also be given multiple options to choose from. 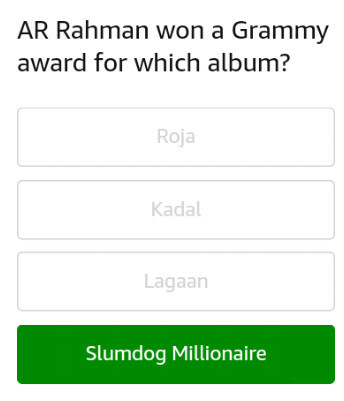 Just choose the correct answers for all the questions and you will complete the contest easily. Yesterday we published about the Amazon Freedom Quiz and Today’s Amazon Leg & Foot Massager Quiz is also a great contest where you can win a free leg and foot massager for you by giving the correct answers to all the questions. First of all, install the Amazon app on your device. Open the Amazon app and sign in to your account or create a new one. 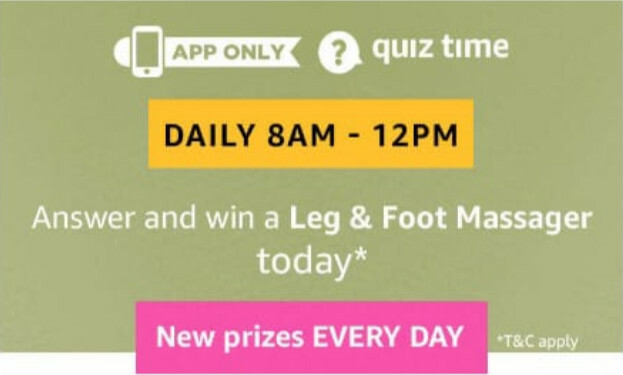 Once you are logged in, you will see “Amazon Leg & Foot Massager Quiz” banner. Just click on the start button and it will show you the questions. PriceKaato Tip: Find the Amazon Leg & Foot Massager Quiz answers from below and enter them correctly. A. 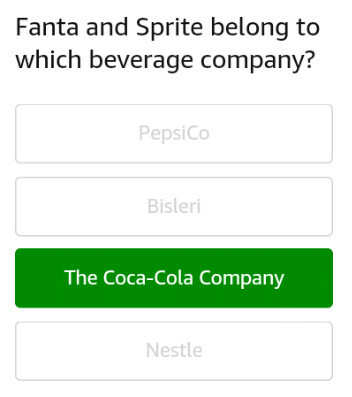 The Coca Cola Company. Well done! You have given correct answers to all the questions. You are eligible to win a leg and foot massager. The contest will start on 7th August 2018 from 08:00:01 a.m. to 12:00:00 p.m. Winners will be announced by 30th September 2018. The 7th August contest is available only on Amazon mobile app. You must be signed in to your account via the mobile app to participate in the contest. Total 5 (five) questions will be asked and you need to give correct answer to all the questions. Total 1 (one) winner will be selected for the contest via lucky draw. The winner will get a HealthSense LM 400 My-Sole Leg and Foot Massager as prize.